Lenovo recently released a new laptop designed for advanced users or prosumers who are also interested in multimedia and gaming on the go – introducing the Lenovo ThinkPad X1 Extreme. Lenovo’s ThinkPad series is mostly about productivity and portability; while the X1 series is usually their thin and light, and top of the line Ultrabooks. The Lenovo ThinkPad X1 Extreme is the first 15-inch X1 series to feature an NVIDIA discrete graphics card; to be exact it’s the GeForce GTX 1050 Ti 4GB MaxQ version. It’s not the fastest graphics card around, but it’s decent enough for full HD 1080p gaming. 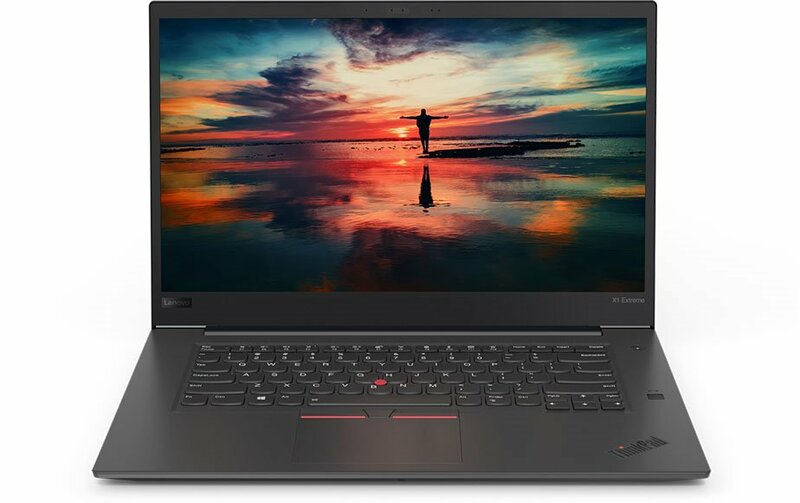 The Lenovo ThinkPad X1 Extreme is available in two variants: a 1080p FHD resolution IPS display and a 4K UHD HDR IPS multi-touch display with 100% Adobe 8+2 color depth and Dolby Vision. You can order one now at Lenovo.com here. Check out more details below. The Lenovo ThinkPad X1 Extreme is powered with the latest 8th Generation Intel Core i7-8750H for the base model, or a Core i7-8850H for the 4K UHD variant. Both CPUs have 6 cores, 12 threads with a base frequency of 2.20GH and 9MB of Cache. The i7-8750H boosts up to 4.10GHz, while the i7-8850H boosts up to 4.30GHz and features Intel vPro. Lenovo plans to release an X1 Extreme model powered with Intel Core i9 processor. But that variant will become available starting December 2018. The base and mid-tier model comes with 16GB of DDR4-2666MHz memory, while the highest configuration comes with 32GB memory capacity. The X1 Extreme do support up to 64GB if you want to go crazy on the memory. By default, the Intel Core i7 processor in the ThinkPad X1 Extreme comes with an integrated Intel UHD Graphics 630. But the main feature here is the NVIDIA GeForce GTX 1050 Ti discrete graphics card with 4GB of GDDR5 with Max-Q enhancements to keep the laptop cool and quite. You can play modern title games, even AAA games, with this setup. Although, you may want to tone down the graphics quality (depending on the game) to get decent and playable framerates; and definitely game at 1080p resolution. Speaking of resolution, this 15.6-inch X1 Extreme is available in full HD 1920×1080 IPS display or 4K Ultra HD at 3840×2160. You do get better display with the 4K IPS panel; aside from having more pixel count, the 4K display is also a multi-touch display, has anti-reflective and anti-smudge coating, has 400 nit brightness and has 100% Adobe 8+2 color depth with Dolby Vision HDR. The ThinkPad X1 Extreme offers plenty of storage option. Base model comes with 512GB of PCIe-NVMe SSD, and up to 1TB for the highest configuration. Remember, it’s an NVMe SSD, not just your typical SATA SSD. There are two slots for up to 2TB of storage and supports RAID 0 / 1 configurations. For gamers and multi-media savvy, the ThinkPad X1 Extreme features Dolby Atmos through supported headphones. These are not the only features that can be found on the X1 Extreme. There are also security features like fingerprint reader, ThinkShutter on the webcam, and many more. Check out the full specifications below for more details. 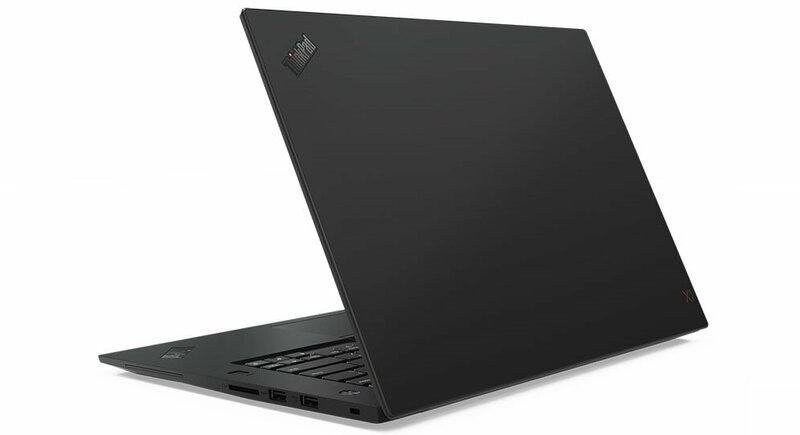 The Lenovo ThinkPad X1 Extreme laptop is now available to order at Lenovo.com here, starting at $1,859 for the base model. Expect that the 4K UHD Touch Display variant will be more expensive compared to the 1080p variant. You can also check out Lenovo’s latest deals and sale here.